The tropical waters of the South Pacific have an official cyclone season, over summer, from 1st November to 30th April (in the northern hemisphere they are called hurricanes and typhoons, but in the northern summer). 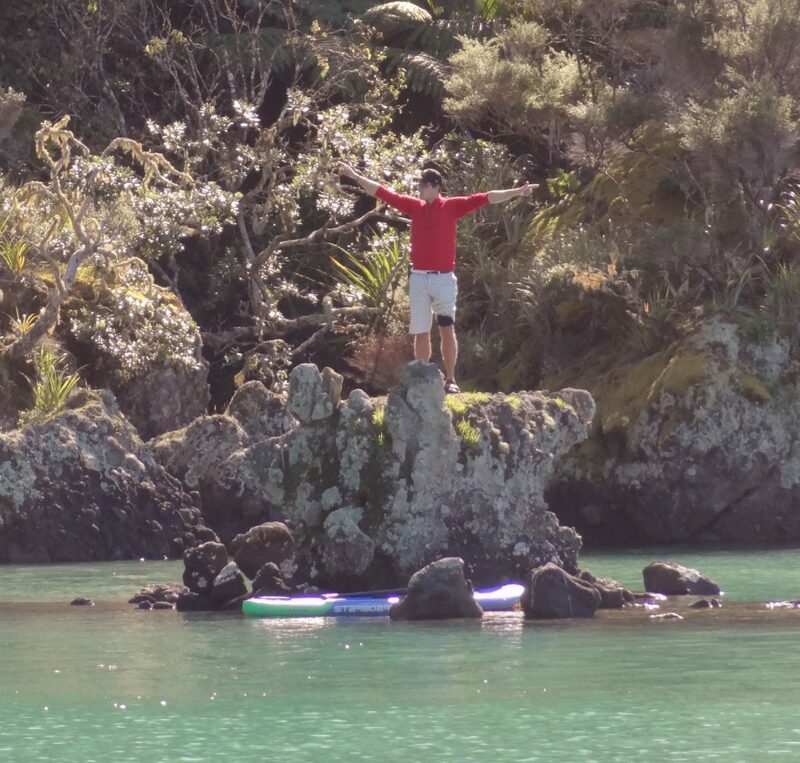 I had been enjoying the cyclone free waters of New Zealand, waiting for the cyclone season to end, before sailing a thousand miles to the north to Fiji. 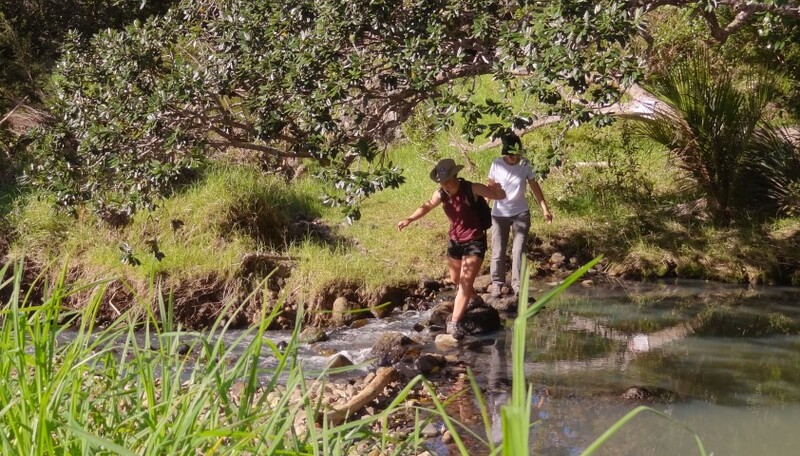 Autumn has definitely starting here, with last night’s temperature falling to 11C, while the forecast in Fiji is 24C nights and 30C days. But a week ago, a very late tropical low started forming to the north of us, after a few days it was upgraded to Cyclone Donna. Cyclones are notoriously unpredictable in their direction and intensity. 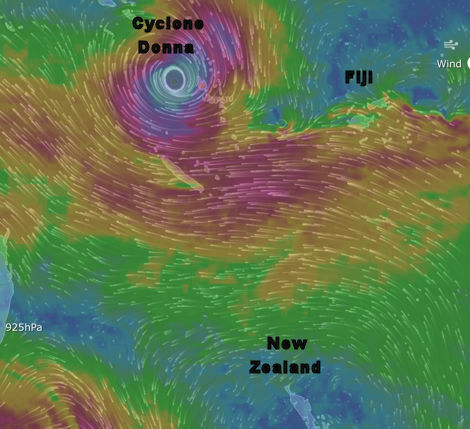 Donna was forecast to go south of Fiji, at an intensity of 75mile per hour winds. Then she decided to stay over Vanuatu and build up intensity from a category 2 to Category 4 (category 5 is highest rating), so she was no gentle tropical breeze. 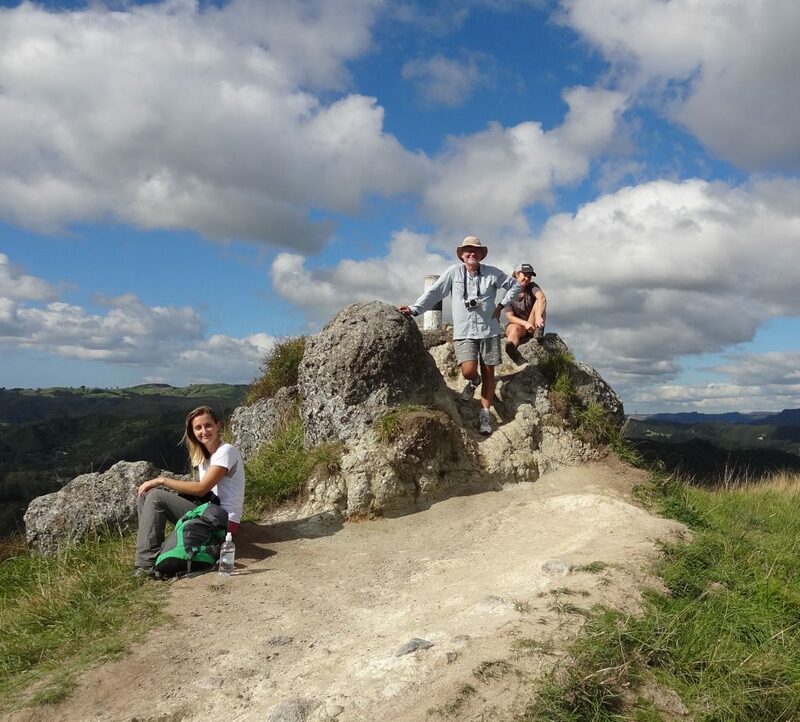 Obviously we are staying in New Zealand until Donna has left. 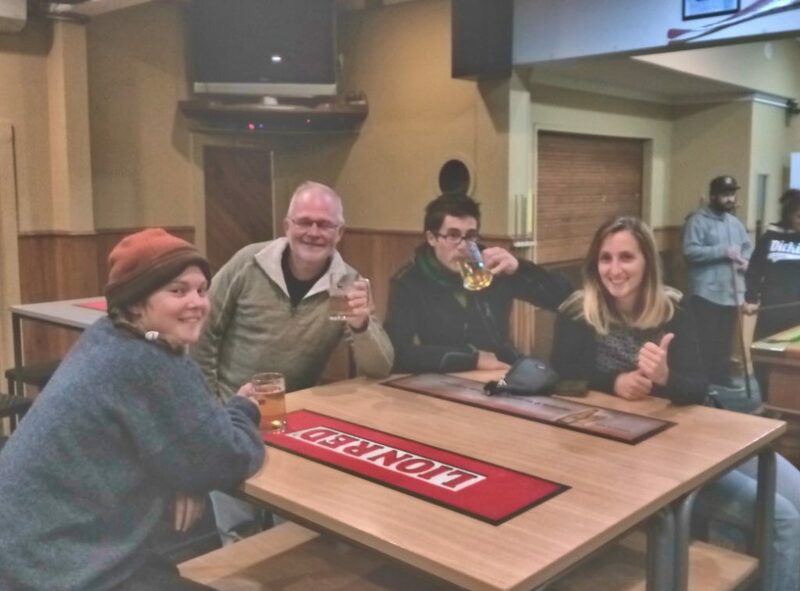 10 days ago I found crew for the sail up to Fiji (will check in at Nadi). 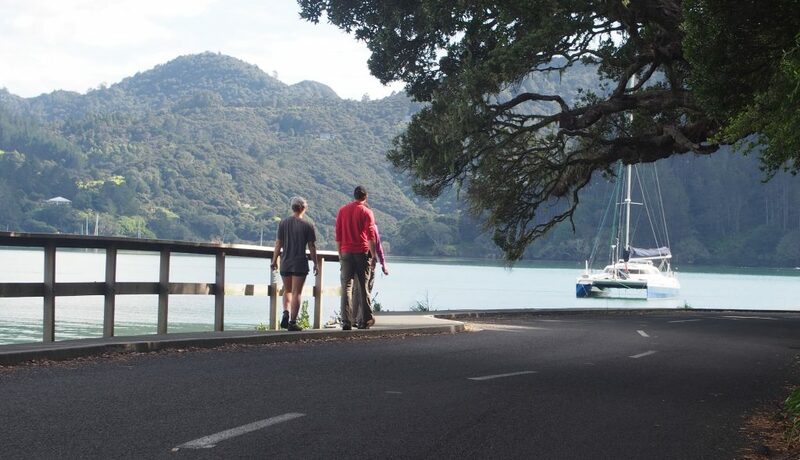 There was a Hungarian couple (Mat and Kat), working the dock in the marina in Opua looking for a boat to go sailing in the Pacific. Minimal sailing experience, and only 26 &28yo, but I liked the feel of them, after talking to them on the boat for half an hour. She is doctor having a gap year after graduation, and he is a environmental scientist. So our brains think the same way. Then over sundowner’s drinks with the boat next door, another couple there, said Jemma is looking for a boat. 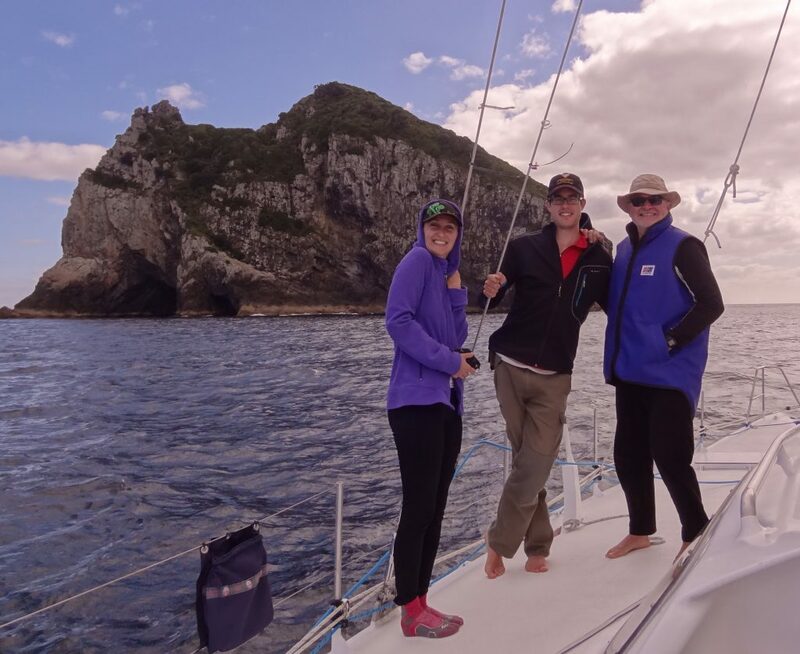 She sailed with them from Tonga to NZ last November, after the boat she came across from the Caribbean in, had seriously broken down. She knocked on the boat the next day. South African only 19yo, but a very mature 19yo. Like myself she grew up sailing, add in 8,000 sea miles and she is the ideal crew. Kiwi Kevin who sailed over from Oz with me last Febuary, jumped at the chance to join the crew for the passage up to Fiji. He will fly over to join us, once Donna has left the room. 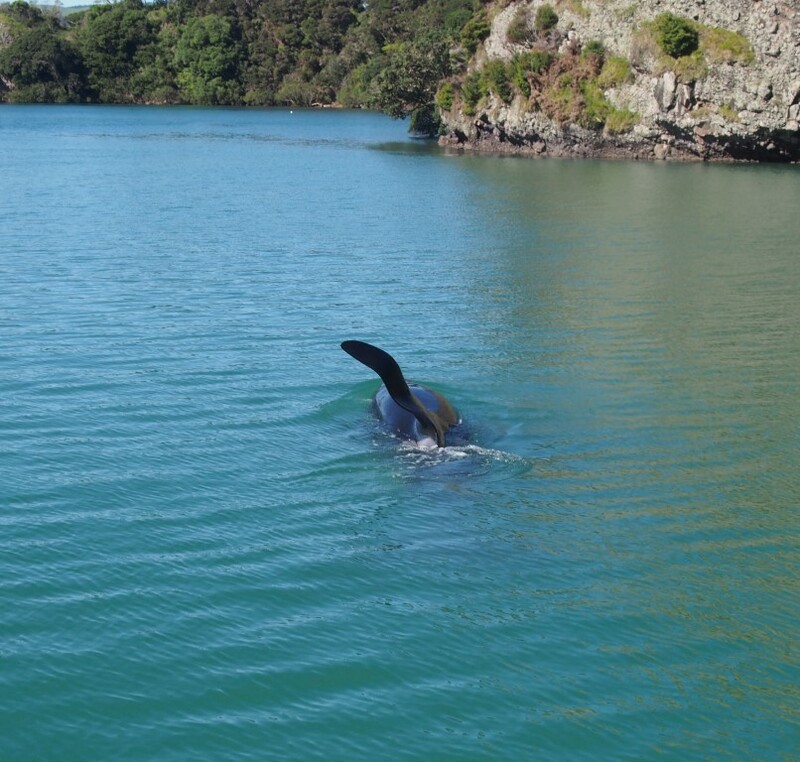 The 4 of us were left twiddling our thumbs in the marina in Opua waiting for Donna to move on. 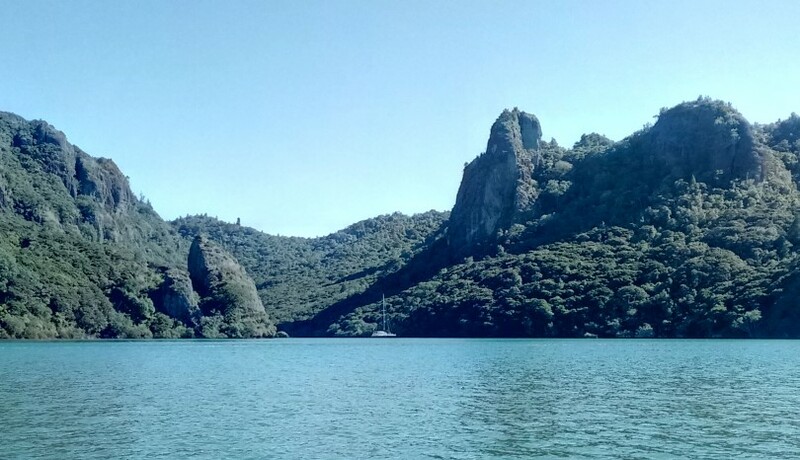 People had been telling me that Whangaroa Harbour was a very special place and only 40miles to the north. So for crew training and the experience we headed off one morning. 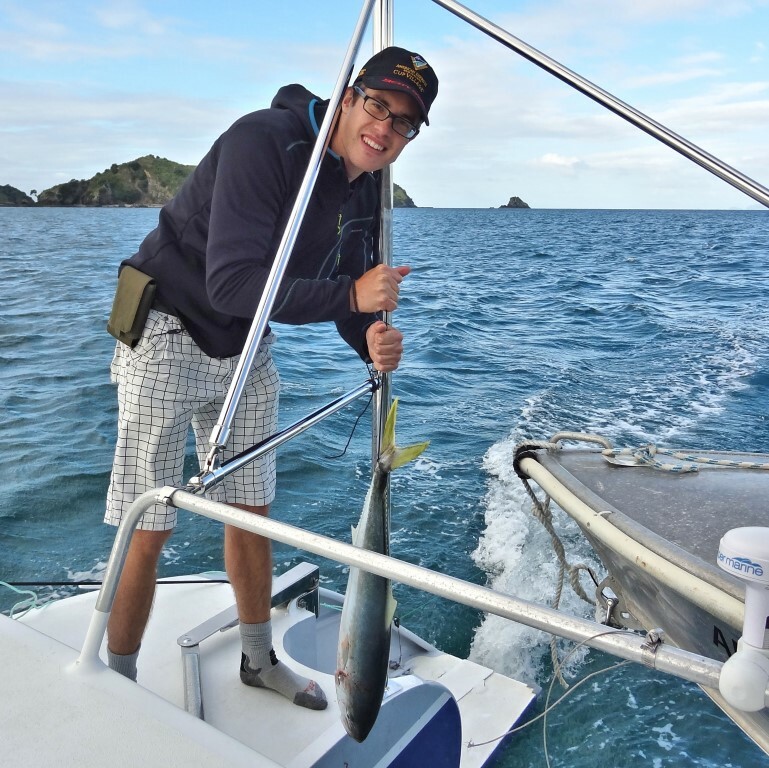 We caught a 6kg kingfish on the way up, exquisite sashimi, and tandooried for dinner with potato and sweet potato wedges. 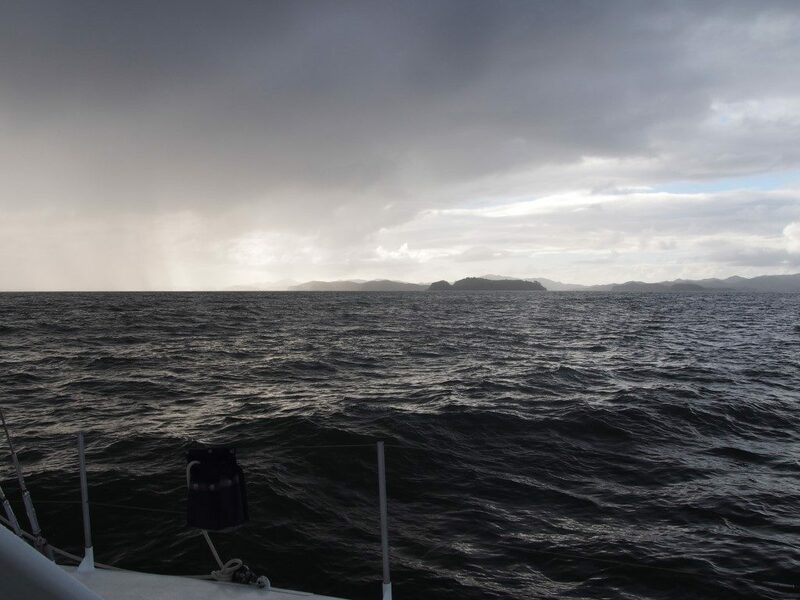 New Zealand at this time of the year is challenging sailing, most days there are rain squalls coming across with associated 25-35kt gusty winds. Plenty of decisions to be made on the extent of reefing of the main and headsail choice. After a month of it, I have had enough, now longing for consistent tropical breezes. 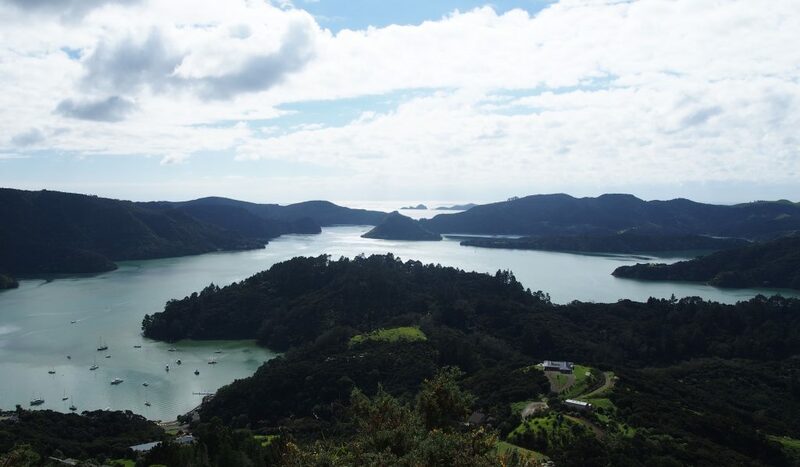 But Whangaroa was spectacular, I cannot believe I was going to leave NZ without coming here, it is very similar to a Scandinavia fiord. 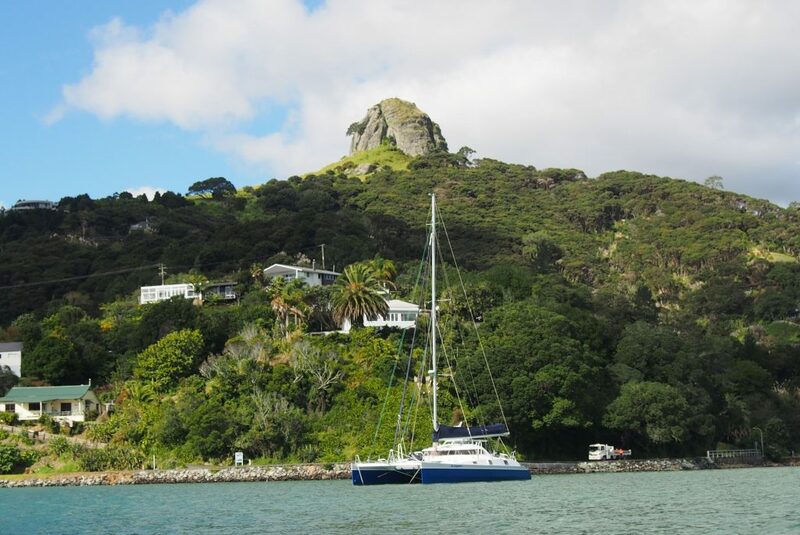 We anchored in a cove surrounded by steep cliff faces. In the morning we pumped up the SUPs, to go for a paddle.